Coagulation factor IX (brand names: AlphaNine, Ixinitiy) is a man-made protein used to treat or prevent bleeding in people with hemophilia B, a rare bleeding disorder caused by a lack of blood clotting factor IX – which helps in proper clotting. The protein, however, cannot be used to treat patients with hemophilia A factor VIII deficiency. No information exists on whether the use of coagulation factor IX will negatively impact pregnancy or affect an unborn baby. Pregnant women should inform their healthcare professionals before starting coagulation factor IX. The same applies if a woman is breastfeeding. Coagulation factor IX is made from human plasma, which may contain infectious agents or other viruses. 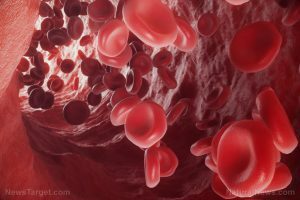 Excessive blood clotting – marked by sudden numbness or weakness (especially on one side of the body); slurred speech; problems with vision or balance; chest pain; coughing up blood, or pain; and swelling, warmth, and redness in one or both legs. People who are treated with coagulation factor IX may have an adverse reaction that may cause hypersensitivity or affect the blood, digestive tract, skin, eyes, and kidney. This can also impact the nervous and respiratory systems. Little information exists on food items that have similar effects to coagulation factor IX. There is, however, current literature on herbal medicine suggests that the arnica herb is effective in managing symptoms of hemophilia. Patients with hemophilia should exercise regularly to build up muscles and protect the joints. In particular, stretches are preferred over contact sports, which can increase the risk of injury. Coagulation factor IX is used to treat or prevent bleeding in people with hemophilia B.
Coagulation factor IX cannot be used to treat patients with hemophilia A factor VIII deficiency. Coagulation factor IX can cause hypersensitivity and affect the blood, digestive tract, skin, eyes, and kidney. Coagulation factor IX can also impact the nervous and respiratory systems.